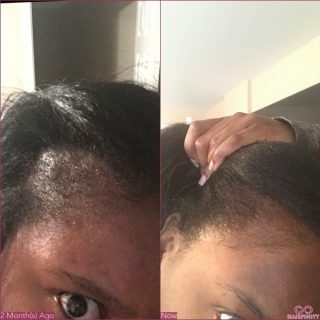 3 weeks on my hairfinity. 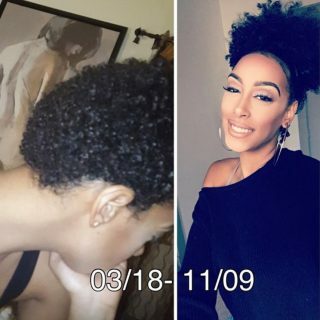 I’m dying my hair back black soon so I’ll be showing updates on length. The difference is obvious! 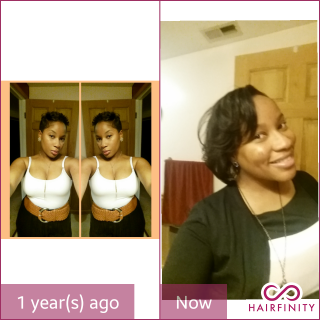 Proof that @hairfinity works!! 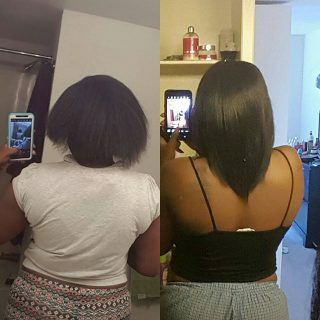 Started exactly three months ago and look at my volume without using an afropick! 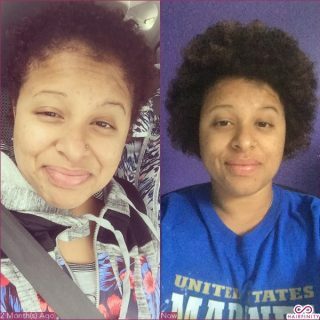 I also got an Deva Cut the second month that’s why it’s a little shorter in lenght. I love this stuff. It definitely works! 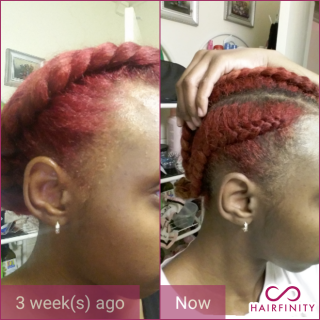 I didn’t take Hairfinity. 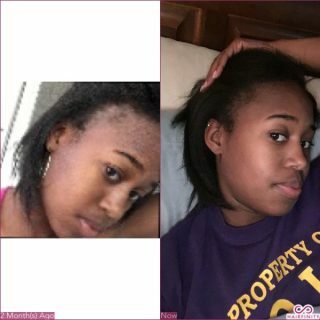 I wasn’t really into growing my hair back till July of 2016, then I start doing home remedies. 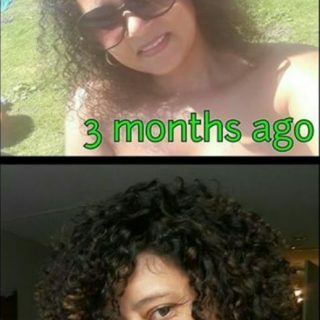 Everything I did and the products I now use are boosting the growth in no time. 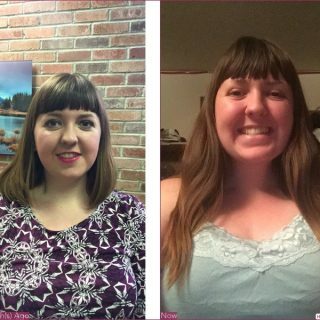 I always reduce my stress levels and study what I can do to prevent future hair loss. (Not taking birth control pills and doing tight hairstyles are one of the two.) 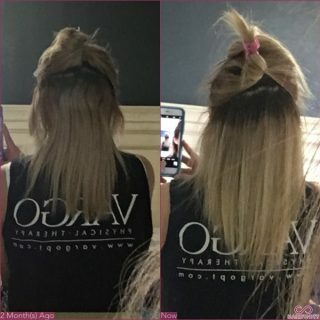 I’m about 1-2.5 inches to my bra strap and about 3 inches to my mid back. 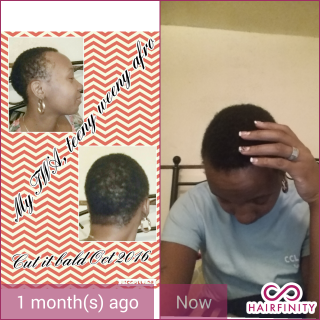 Hairfinity has really grown my hair from shedding, breaking, and damaged. 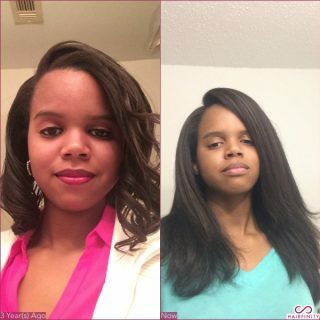 It has really strengthen and grown my hair.